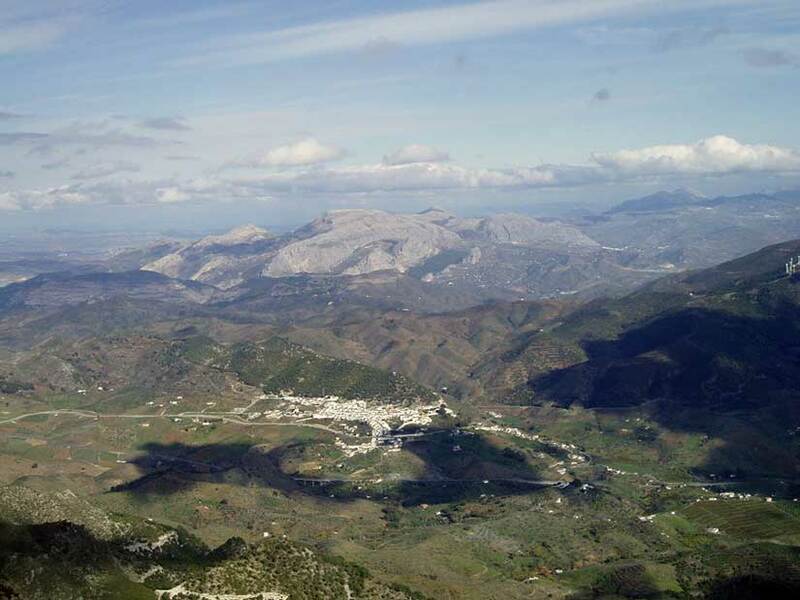 A village between the Serrania de Ronda and Antequera regions which has since time immemorial been considered a gateway to the Guadalhorce valley. The village, of Arabic origin, grew in the 19th century as a result of the presence here of sulphorous waters whose curative properties had already been discovered by the Romans. In the mid-1900s, an attractive Neoclassical spa was built, and it is still visited in large numbers today by sufferers of a variety of ailments. Another building of interest is the Town Hall, formerly the residence of Doña Trinidad Grund. Within the village’s municipal boundaries, in a chasm forty metres deep in the Sierra de Alcaparain, schematic paintings and archaeological remains from the Eneolithic period have been found. Human presence in the area since the beginning of prehistory is also evident in the neighbouring village of Ardales where Cueva de Doña Trinidad Grund cave features cave paintings of animals -goats, horses and stags- pertaining to the Upper Palaeolithic period (Solutrean and Magdalenian eras, 18.000 – 14.000 B.C.). The springs of sulphorous waters which flow in Carratraca were used by the Romans, as witnessed by the site of La Glorieta, where copper and silver coins bearing the images of several Roman emperors have been discovered. Though there was a settlement here during the Moslem occupation of Spain, the present-day village dates back to the 19th century and appeared as a result of successive extensions to a farm called Aguas Hediondas, the site of a spa and a chapel to Our Lady built in the 18th century.